TIC: Transforming MSF. For Today and Tomorrow. 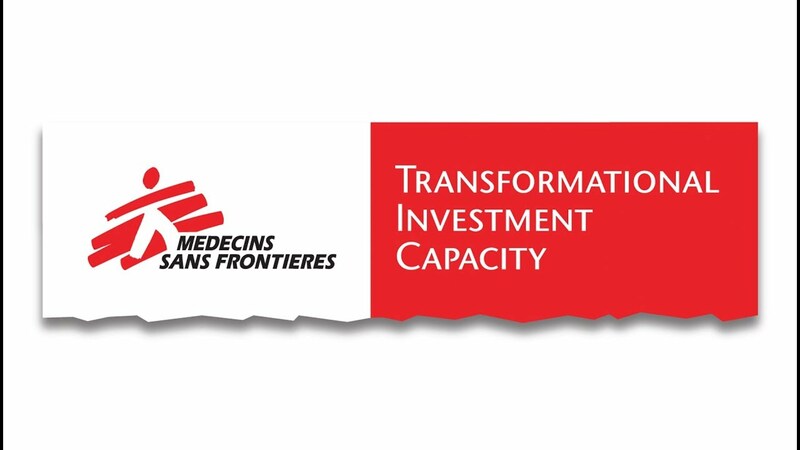 MSF launched the Transformational Investment Capacity (TIC) to transform our ability to address the medical and humanitarian needs of vulnerable populations around the world. With the TIC, MSF has created a mechanism where any MSF staff or association member – based at headquarters or in the field – can propose an idea or solution to dramatically improve MSF’s ability to deliver medical assistance to people affected by conflict, epidemics, disasters or exclusion from health care. The TIC supports project teams with funding, human resources and intellectual capital to help drive change. Over the past two years, the TIC has approved 36 game-changing projects aimed at transforming medical research and development, strengthening operational capacity, building our human capital and creating efficiency gains to better achieve our social mission. In this newsletter, we share more about why MSF created the TIC, how it works and the tangible impact that TIC project teams are creating across the movement. Why is it important for MSF to fund innovation and transformation? Over the last decade we have witnessed the increasing growth of global health and humanitarian challenges in both complexity and scale. These include unprecedented levels of global displacement of people, new patterns of disease outbreaks, and a medical R&D system that does not serve the needs of the people MSF assists. At the same time, we are seeing tremendous technology and medical advances including artificial intelligence, biotechnology, hybrid energy and big data, all of which represent unique opportunities to transform MSF’s response to current and emerging global health challenges. 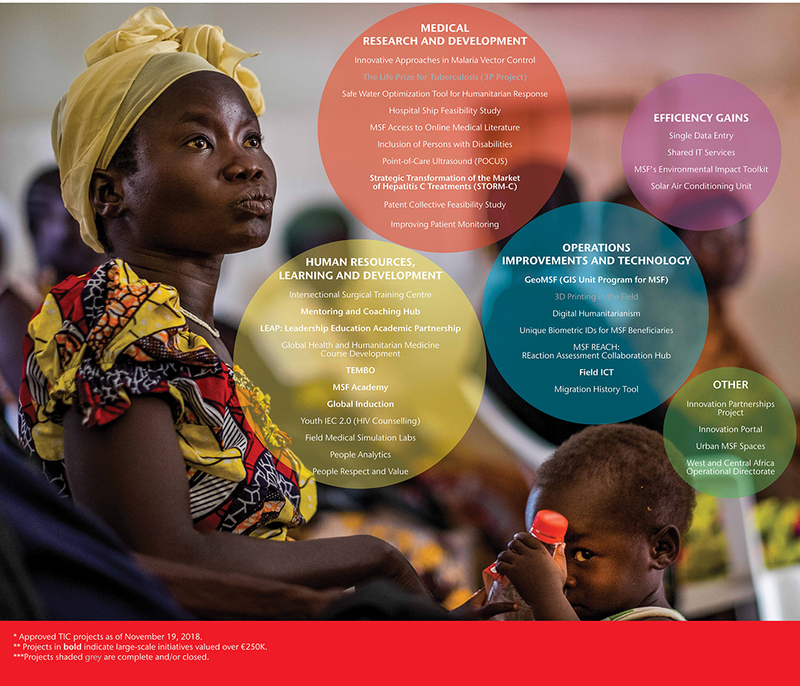 Just over two years ago, MSF recognized the need to bring greater investment in transformation to close gaps and exploit new technology and capabilities. This allows us to better serve the needs of our patients today and prepare us for the challenges of tomorrow. Transformation can take on many forms – from new medical technologies to innovative development – that help MSF improve access to and quality of frontline medical treatment and care. The need for change and transformation have recently been clearly reaffirmed by the International Board of MSF in their Call for Change. Joanne Liu, our International President, considers that the TIC is the perfect tool to address the challenges of today and tomorrow, and translate thoughts and ideas into real action. What kind of impact has the TIC had so far? 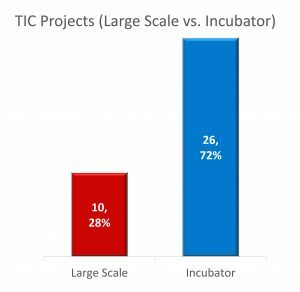 The TIC Selection Committee has approved 36 projects to date, many of which are beginning to show early impact. One of our large-scale projects – ‘Strategic Transformation of the Market of Hepatitis C Treatments’- has had tremendous success during its pilot phase. The project team is testing a new combination of drugs that has shown a 97% cure rate in a recent clinical trial. The primary goal of the project is to promote a public health approach to HCV care and treatment in low- and middle-income countries. Another TIC project is the ‘Point-of-Care Ultrasound’ incubator. The project team has recently completed testing the use of a handheld ultrasound device coupled with algorithms by non-radiologists to improve diagnosis and treatment at the patient’s bedside in low-resource settings like South Sudan. The project team is now determining how they can best scale up the project across MSF. A third project team, ‘Youth HIV’ in South Africa, is exploring innovative ways to deliver HIV testing and counselling for vulnerable youth using a digital approach. By destigmatizing the testing process with youth-positive HIV messages, the initiative aims to guide young people through the HIV testing process and links them to the appropriate care. The Youth HIV project team is designing a user-centered platform and mobile application that can easily adapted for other contexts. For MSFers that have an idea and are interested in submitting a TIC proposal, what are the ingredients of a successful application? o Impact – First and foremost, proposed ideas/solutions must have a potential to create a transformational impact on MSF’s social mission by improving MSF’s ability to provide medical assistance to people in need. We are looking for bold solutions with high impact. o Viability – Proposals must demonstrate long-term sustainability with a strong project management and team in place. Project plans must also show a high degree of rigour, transparency and clear accountability – with key performance indicators built in to track the impact and success of a project. o Risk Tolerance – We encourage project teams to try new approaches and to take risks that do not comprise efforts to carry out our social mission. Projects with higher risks of failure are welcomed if they bring a correlated potential for greater transformational impact. We support teams to build in risk mitigation into their proposals and to capture lessons learned so that other may also benefit. o Scalability – Ideas must be scalable and replicable across MSF’s projects and/or offices to increase potential for transformational impact. We encourage teams to collaborate and create buy-in with other MSF operational centres/sections as well as external partners at an early stage to improve the uptake of transformations within MSF and beyond. When it comes to innovation, why is collaboration and partnerships so important? In harnessing innovation, it’s important to realize that expertise and solutions can also be found outside of MSF. The TIC values collaboration with external organizations including universities, start-ups, businesses and other NGOs. Partners can offer different perspectives and experience: universities bring research expertise and teaching capabilities; accelerators can source the latest innovations; while agile start-ups can work nimbly and bring new ideas or ways of doing things. Building partnerships takes time and effort but when you invest, you will see the results, where 1 + 1 can equal 5. What happens when a proposal is accepted? How are project teams supported? The Selection Committee has two key functions evaluating proposals from MSF around the world and, if approved, accompanying project teams to provide advice and support as they face opportunities and challenges during their project journey. We have a stellar group of individuals in our TIC Selection Committee. We have people with entrepreneurial experience with tech start-ups; physicians who have worked in low-resource settings, and experts in humanitarian operations, finance and human capital. It’s a diverse group of professionals – in terms professional expertise, gender balance and representation from the global south. We also balance those with a deep understanding of the MSF context and those that are new to the organization and bring fresh perspectives. The TIC values this diversity in lived experience – because each of us looks at the merits of a proposal with a different lens – and this helps us to identify opportunities to strengthen proposals. What have been the key lessons learned in the first two years? Transforming the way MSF works can be challenging, but TIC project teams have gained valuable insights. We recently held a webinar where we brought together MSF technology project teams from across the movement to share successes and lessons learned. We thought we’d talk about technology, but instead, we spent most of the time talking about people, organizational culture, project management, resistance to change, and the importance of leadership. We’ve found that no matter how technical a project is, teams need to fully grasp how their solution will impact people and how people will use their products. Successful teams incorporate design thinking, prioritize user experience and invest in change management. What do you see as a key innovation challenge for MSF? What is the vision for the future? We need to continue to create space for innovation. As a humanitarian organization, we are always ready to move quickly to respond to the latest humanitarian crisis. To ensure that we are continuing to adapt, we must also have the time, money, resources to be able to step back from the work of today so that we can also respond to the needs of tomorrow. The good news is that MSF understands the importance of investing to meet the evolving medical and humanitarian needs of our patients. We look forward to reaching more MSFers in the coming year, particularly those based in our field missions. We know that our frontline staff have solutions to the key challenges and we need to ensure that their ideas are brought forward and supported. Where should we go to learn more about the TIC? To learn more about TIC projects and how to submit a proposal, we encourage you to visit the How To Apply section of our website. In addition, our SharePoint site contains much more detailed information on projects including concept notes, business cases, videos, as well TIC guidelines and templates.